Last month, Birdman made his second appearance in a year and Juvenile made his debut appearance on “The Wendy Williams Show” to promote their joint project, Just Another Gangsta. While on the American talk show, Baby revealed he plans to remove his face tattoos and has spoke to 50 Cent about it, he has paid Juvie the money he was owed from back in the day and that is why they are working together again, he gave Lil Wayne almost $400 million during their time in business, he just wants Wayne to be happy, and plenty more. You can check out the #1 Stunna and Juvenile‘s interview with Wendy Williams in a video after the jump below! Earlier in the week, Birdman made his debut appearance on “The Wendy Williams Show” to promote his “Before Anythang: The Story Behind The Cash Money Records Empire” documentary. While on the American talk show, Baby talked about his relationship with fiancee Toni Braxton, his 2 kids Brian and Bria, Nicki Minaj, and plenty more. 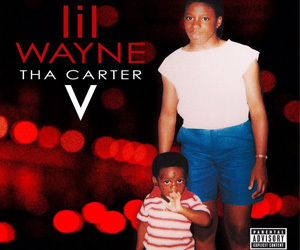 The #1 Stunna also had some stuff to say about Lil Wayne including how all of the tabloids are getting the story backwards about him stopping the release of Tha Carter V and owing Wayne $51 million. 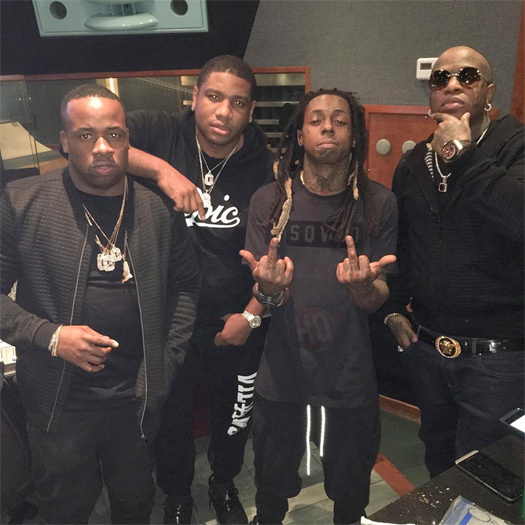 However, Birdman revealed he can’t explain the situation as of right now but confirmed that at some point in time we will see both him and Weezy back working together again. You can see Baby‘s sit-down interview with Wendy Williams below! 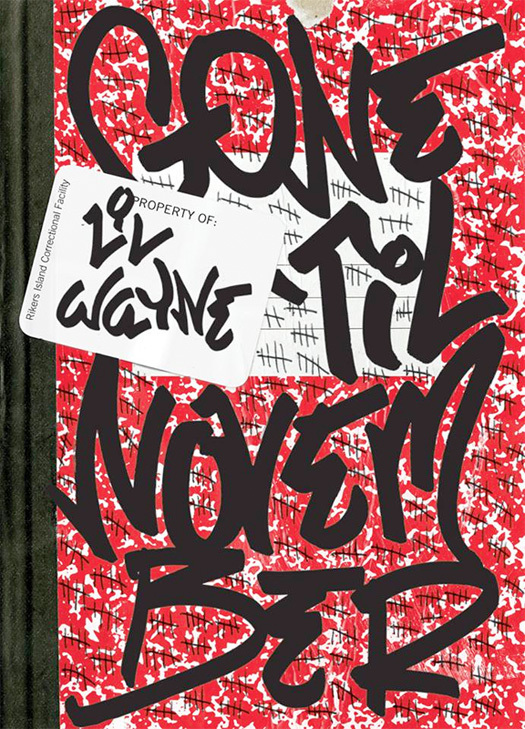 In just over 2 weeks on October 11th, Lil Wayne will have released his “Gone ‘Til November: A Journal of Rikers Island” book through Plume (a division of Penguin Group). A few excerpts (check them out below) from the memoir have surfaced online, courtesy of Page Six, that include Tunechi explaining some of the things he got up to while being locked up in the New York prison for 8 months back in 2010 for gun charges. Weezy revealed he officiated a gay wedding for two of his fellow inmates, helped decorate the service with toilet paper, and toasted the happy couple with Gatorade. He also mentioned Drake came to see him to let him know he had slept with his girlfriend Tammy Torres, there were 2 female officers suspended for coming to see him, requested one of his girlfriends to visit him wearing no underwear, he watched “American Idol” to pass time, wrote a new album, and more! 2 Chainz made an appearance on The Wendy Williams Show on Monday (March 7th) to promote his ColleGrove album, share his thoughts on Bankroll Fresh being shot dead, and more. 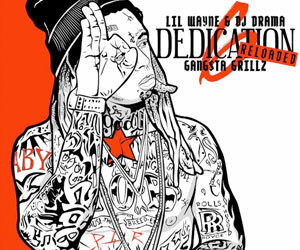 At the start of the interview, Chainz explained to Wendy Williams about why him and Lil Wayne decided to keep the release date of ColleGrove quiet for so long, as well as mentioned that Wayne is his favorite rapper. 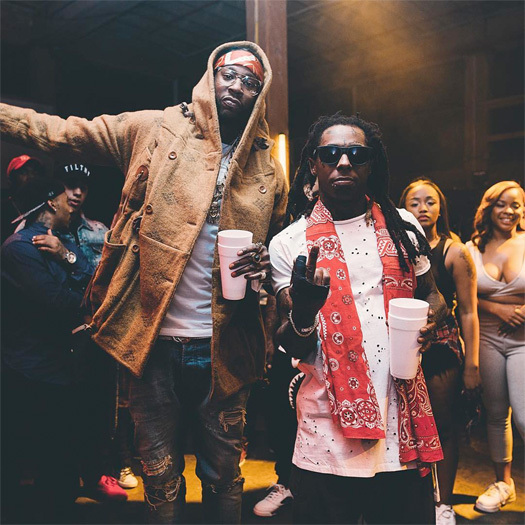 Tity Boi also revealed ColleGrove is more of his own solo project that is dedicated to Tunechi rather than being a collaboration project with Tune. You can watch the conversation in a video after the jump below! 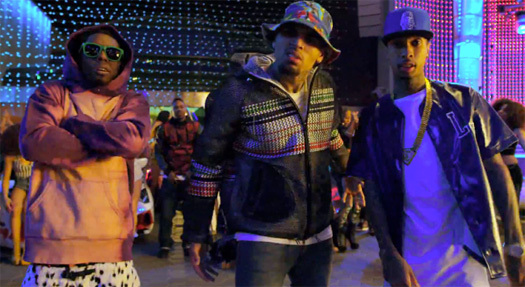 Today, the nominations for the 2014 Soul Train Awards were announced and Chris Brown, Lil Wayne, and Tyga‘s “Loyal” collaboration was nominated a total of four times. 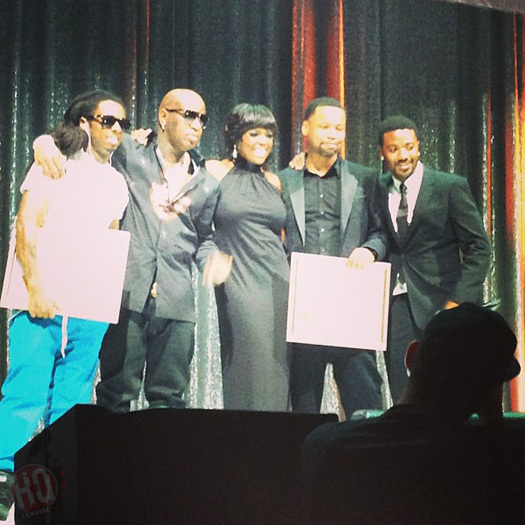 The “Loyal” single was nominated in the categories “Best Hip-Hop Song Of The Year”, “Song Of The Year”, “Best Dance Performance”, and “Best Collaboration”. This year’s Soul Train Awards, which are being hosted by Wendy Williams, will take place at the Orleans Arena in Las Vegas, Nevada on November 7th. It will air on Centric and BET on November 30th at 8PM EST. You can view which songs “Loyal” will be up against in the categories below. Click here to see what Drake and Nicki Minaj were nominated for at the awards show!